or even devastating – and those injuries can damage your physical, emotional, and financial health forever. Medical bills, property damage, lost income, and physical limitation hurt and burden you, but also the people closest to you — your husband, wife, parents, and children, your friends and teammates, the jobs you do, businesses you run, and charities you support. You owe it to yourself first, but also to all of them, to do what it takes to get your whole life back on track. It is hard to do it alone. You may not even be aware of the full extent of your injuries, and especially how the injuries can cause you significant medical problems later in life. You may have lost income which makes it even harder for you to get the tests and treatment you need. And even if you act right away, the party at fault almost never takes full responsibility for the damage, and the insurance companies always work harder to protect their bottom line than to help get you well and to compensate you for your losses. We are on your side, ready to help you get back to being your best self. We know you have much better things to do than to fight with insurance companies and their personal injury lawyer Marietta, GA. We are here to fight for you, letting you spend your time on the things and people that matter most in your life. Piedmont Injury Law Group handles a wide range of personal injury cases, helping our clients recover fully for the damages they have incurred. From broken bones to spinal injuries to traumatic brain injuries to wrongful deaths, we work to hold those responsible accountable for the damage they cause. We have the skill and the commitment to handle your case from start to finish, and the knowledge to protect your rights and get to the outcome you deserve. According to the Governor’s Office of Highway Safety, in 2006, there were 133,399 “car accidents” in Georgia involving injuries. 31,787 resulted in visible injuries to victims and 6,377 of the injuries were serious. Victims of injuries tend to be younger; statistics show that car crash injuries peak for passengers and drivers at 18 years of age and then decline as drivers and passengers get older. The number of injuries increased by a little over two percent between the years of 2000 and 2006. The reality is that most car crashes are preventable, which is why we don’t like to call them car “accidents.” Alcohol is a factor in many traffic-related fatalities and injuries, with 22% of all car crash fatalities in Georgia in 2011 being attributable to alcohol and blood alcohol concentrations that exceeded legal limits. Speeding, distraction, sleepiness, use of prescription drugs, failure to obey road laws, and many other factors can also lead to crashes. If you have been seriously injured or hurt due to another driver’s error or negligence, you are entitled to compensation for your pain and suffering, medical expenses, future medical care, any persistent injury, and your lost income. The injury attorneys at Piedmont Injury Law are here to help you during this challenging time. We’ll carefully review your circumstances to ensure that you get everything you deserve. I Was Injured in a Car Wreck: What Can I Do? If you’ve been injured in a car wreck, it is important that you first get proper medical care. One of the most common injuries caused by rear-end car crashes is whiplash. Whiplash injuries are caused by the sudden transfer of energy to your car and then, through your car, into your body. During a rear-end collision, your car rapidly moves forward, with the seat pushing your torso forward with it. Your head, balanced on top of your neck, falls back relative to your torso as your body is driven forward, then is jerked forward by the rest of your body. After your body is suddenly stopped by your seatbelt, your head continues to travel forward until it is again jerked back by your neck. Exactly how your spine reacts to this event depends largely on the impact force of the wreck, acceleration of the car, and the precise forces transmitted to the spine. According to a paper written by researchers at Kansas State University, during a rear-end collision, the lower vertebrae (bones) of the neck, called the cervical spine, move forward faster than the upper ones. Like a series of falling dominoes, the force is translated up through the connected bones. This can cause injury to the muscles, tendons, and ligaments in the neck, the discs between the vertebrae, and the bones themselves. Additionally, whiplash caused by rear-end collisions can cause dangerous extension of the spine and soft tissues. What does all this science mean to you? For one, it shows why it is so important to seek medical care after a rear-end crash. What happens to your body in a car crash is chaotic and violent, and you need a detailed examination to find out the extent of the damage. Sometimes modest pain hides a serious injury that can fail to heal or even get worse if it isn’t found and treated. For another, it shows that the pain you experience in your neck after a rear-end crash is real – it is caused by very real physical forces that arise during a rear-end collision. Pain associated with whiplash injuries can seriously interfere with a person’s ability to engage in normal life activities. While most whiplash injuries heal over time, patients may require special rehabilitative care and may have difficulty performing work or other family duties as they heal. You have people depending on your physical and financial recovery, and you owe it to them as well as to yourself to take care of yourself and to make sure you get what you deserve. Other drivers have a responsibility to maintain a safe distance between their car and yours, so the driver who hit you from behind will usually be found negligent. Even if you had to stop suddenly for another car or a pedestrian, the driver behind you had a duty to leave enough space to stop without hitting you, just as you stopped without hitting whatever you had to stop for. If you’ve been rear-ended or otherwise injured in a car wreck, we are here to help. Looking for a Car Injury Attorney or Lawyer in Marietta? Whether you’ve been rear-ended, were hit by a drunk driver, or were otherwise injured by no fault of your own, the lawyers at Piedmont Injury Law can assist you in getting you to the best outcome. Our firm of car accident lawyers offers compassionate and caring counsel to injury victims and their families. It can be challenging to live with pain following an injury. It can be even more difficult to try to heal alone. You may have lost wages due to time away from work or be facing high medical expenses due to your injuries. The law affords you and your loved ones important protections if you’ve been in a car wreck due to another person’s negligence. If you’re looking for a car injury attorney and lawyer, Piedmont Injury Law is here for you. You only have a limited amount of time to make a claim for an injury. Contact us today for a free case evaluation. Georgia’s highways and interstates are used by drivers every day. In most cases, drivers are safe and goods get shipped to their destinations without incident. However, when accidents do take place, they can be devastating in scope and in severity in terms of the injuries suffered by victims. 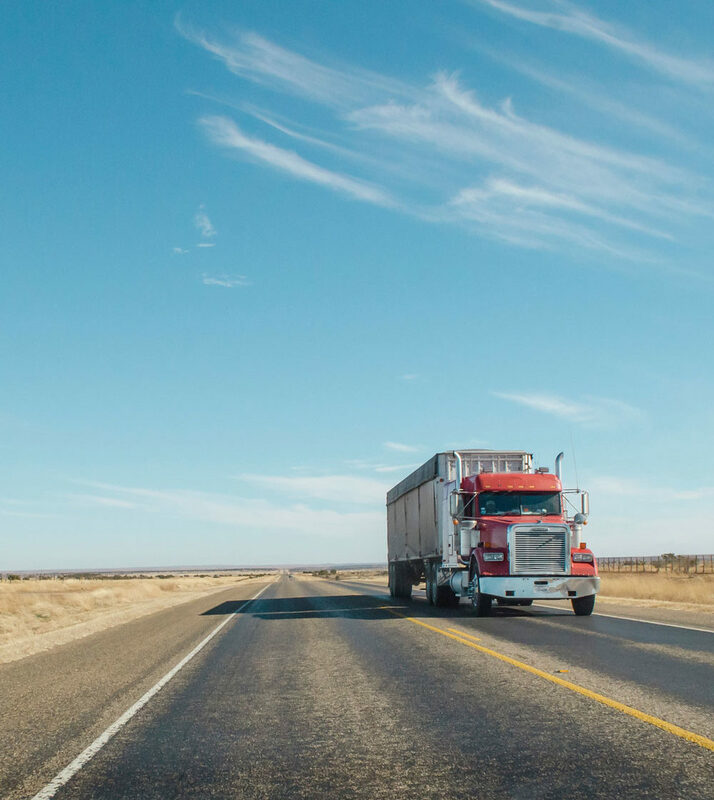 According to statistics released by the Governor’s Office of Highway Safety, Georgia is one of the top five states for fatal injury crashes where commercial trucks were involved. The issue has become so serious that lawmakers plan to spend $10 million each year to patrol interstate corridors where accidents are more likely to take place. Drivers are subject to stringent federal laws in terms of the hours they can drive, the weights their vehicles can carry, and the roads they can and cannot use. Drivers are also required to pass regular physicals in order to ensure that they are fit to drive a commercial truck. Unfortunately, more and more drivers are using prescription and non-prescription medication that can make them sleepy or otherwise unsafe behind the wheel. Shockingly, many drivers drink and drive, or use cell phones while on duty. Finally, many drivers are put under immense pressure to meet strict shipping deadlines. As a result, they may break the laws in place that limit the amount of time they can be on the road without rest. Failure to comply with federal requirements can have tragic consequences. Victims of accidents are frequently killed. Those who survive may face months, years, or a lifetime of long-term medical care, rehabilitative care, and nursing care. Families may struggle because victims miss work or find that their injuries make it difficult or impossible to perform duties at home. The good news is that there are laws in place in Georgia and on the federal level that protect truck accident victims. A truck accident lawyer Marietta is qualified to apply these laws and review your case may be able to help you secure a recovery that will allow you to take care of yourself and your family. If you’re looking for an accident attorney, Piedmont Injury Law can assist you. Rear-end collisions are one of the more common types of accidents on the road. According to the National Highway Traffic Safety Administration, as many as 40% of the accidents that take place each year are rear-end collisions. 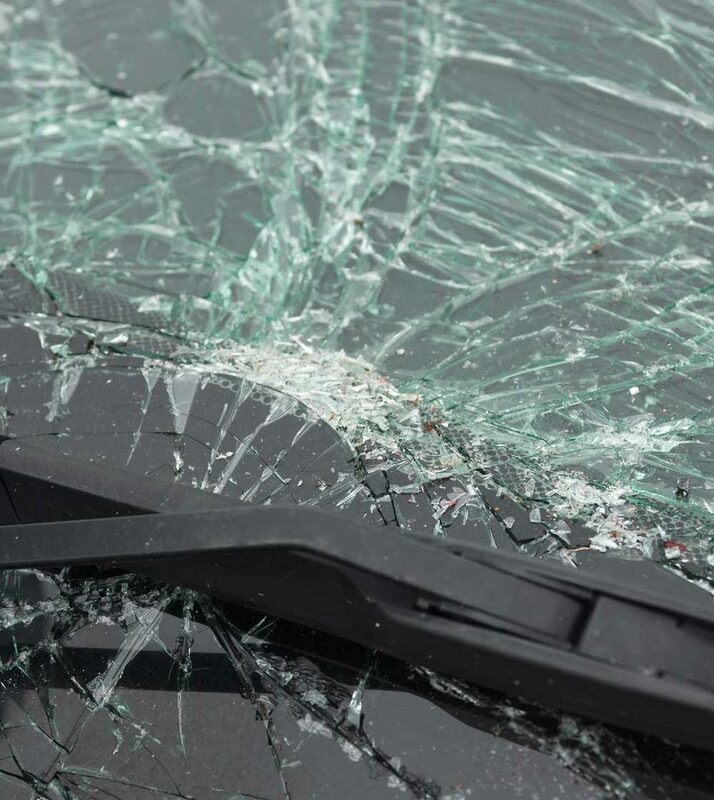 Rear-end collisions with trucks can be particularly devastating to victims and families. Trucks are large vehicles and carry tremendous weight. Because the severity of injury, depends on the impact forces sustained by your car and body, due to a truck’s sheer size you are more likely to sustain serious injuries in a rear-end collision than in any other collision type. One of the more common injuries suffered by drivers in rear-end collisions is whiplash. The severity of whiplash injuries depends highly on speeds and sizes of vehicles involved. Pain can be a very subjective experience, but it is nevertheless real and frequently reflects real injuries. If you have been suffering from neck or other pain after an accident, you may be entitled to compensation for your pain and suffering, medical expenses, rehab, future medical care, and lost income. Piedmont Injury Law are accident attorneys who will take your injuries seriously and help you get the compensation you deserve. Piedmont Injury Law understands that the time after an accident can be challenging for survivors and their loved ones. Not only are you recovering from injuries, but you may also now be worried about a tough legal battle with a truck driver, a company, insurers, and other stakeholders. An accident lawyer can take these adversaries on for you and get the compensation and justice you deserve. Some cases can be resolved quickly out of court while others may require litigation and trial. Whatever your needs, Piedmont Injury Law is here for you. If you’re looking for an accident attorney, contact our firm today for a free case evaluation. We’ll provide you with an honest assessment of your case and will develop a plan of action to help you move forward with your life. According to a recent U.S. Census report, the trucking industry’s revenue for 2009 was $2.73 billion. The amount of money involved in U.S. shipping, transportation, warehouse, and logistics can be difficult to comprehend. By comparison, the U.S. spends about $7.18 billion on defense and security each year. This means that the trucking industry’s yearly revenue is above one-third of the U.S. national defense budget. These numbers are astronomical in scope. If you’ve been injured in an accident, it is important to understand that the company, the driver, and the shipping companies involved will likely hire teams of lawyers immediately to protect their bottom lines. When an ordinary driver is involved in an accident, he or she may not immediately seek a truck accident lawyer or legal counsel. Yet, if you’ve been seriously injured by a negligent driver or trucking company, you are entitled to full compensation for your injuries and losses. You need compassionate and comprehensive legal counsel on your side if you’ve been in an accident in Marietta. If you or a loved one has suffered or is suffering from any of these injuries, you are facing new and immense challenges. Yet, you are not alone. Piedmont Injury Law is a team of accident attorneys here to help you. Property owners or occupiers in Georgia are required to take reasonable steps to ensure that their property is safe for the use of those they invite to use it. When they fail to do so and allow a dangerous condition to arise or to remain on their property, they may be held responsible if somebody gets hurt. I Was Injured on Somebody Else’s Property: What Can I Do? Just as with any injury, it is important that you first get proper medical care. 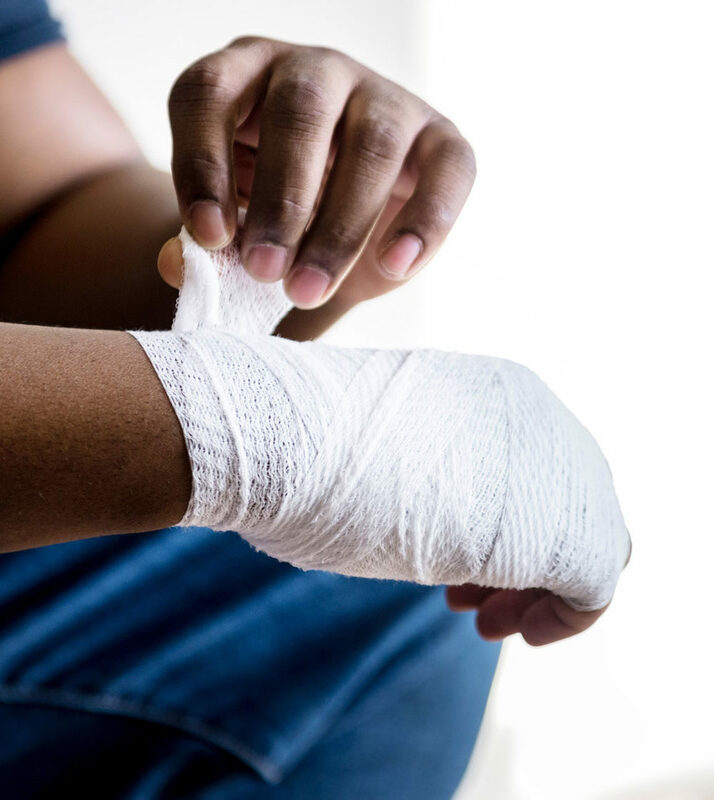 Because premises liability is such a varied area of the law, the types of injuries you can sustain can be tremendously diverse. We have seen clients with joint and soft-tissue injuries, respiratory problems, broken bones, deep wounds, electrocution injuries, and even amputations caused by hazardous property conditions. Some clients can be treated on an outpatient basis, but some require extensive hospitalization and surgery. We have seen clients require multiple joint replacements after falling in a structure collapse, others require surgery to repair broken bones or fuse spinal bones together, and others have to have gangrenous body parts removed. In all of these cases, the first rule is to get whatever treatment you need. You have people depending on your physical and financial recovery, and you owe it to them as well as to yourself to take care of your health. We will do all we can then to make sure you also get the financial recovery you deserve. While the owner of property — for example, the landlord at an apartment building, or the owner of a shopping center, or the operator of a recreational facility — does not have to ensure the safety of everybody on that property, the owner (or occupier, if the property is leased to somebody else) is responsible to act reasonably to keep the property free of hazards. So, while a property owner may not be liable to a visitor who slips and falls while running down a staircase in the rain in slippery shoes, that property owner could be liable if the visitor gets hurt when a rotten step on that staircase gives way. Or, if the property owner is a landlord and he fails to keep the property he is leasing out in good repair, and the defect in the property causes injury to the tenant. Or if a hotel or an apartment complex is negligent in providing security for its guests or residents, and as a result allows a criminal to injure somebody. The list of examples could go on and on. If you’ve been injured in one of these scenarios, or by something completely different that you would like to discuss, reach out to us today for a free consultation. We are here to help. Looking for a Premises Liability Attorney? However you have been hurt, Piedmont Injury Law can assist you in getting you to the best outcome. Our firm of personal injury lawyers offers compassionate and caring counsel to injury victims and their families. It can be challenging to live with pain following an injury, and it can be even more difficult to try to heal alone. You may have lost wages due to time away from work or be facing high medical expenses due to your injuries. The law affords you and your loved ones important protections if you’ve been injured by a hazard on somebody else’s property. If you’re looking for an attorney to help with your dangerous property case, Piedmont Injury Law is here for you. You only have a limited amount of time to make a claim for an injury. Contact us today for a free case evaluation. A recent study by researchers at Johns Hopkins University indicates that medical errors are actually the third-leading cause of death in the United States, right behind cancer and heart disease. The team reports that what is really an epidemic of injuries created by the healthcare system and by individual doctors has been overlooked for decades because the Centers for Disease Control has based its statistics on billing codes – and, unsurprisingly, there are no billing codes for medical errors. We believe most doctors, nurses, and other healthcare providers are tremendously hard-working, diligent, knowledgeable professionals, and we are grateful they are around when we need them. However, even hard-working professionals can make mistakes, and when a doctor or nurse makes a mistake – performing the wrong procedure or the right procedure the wrong way or in the wrong location, administering the wrong medicine or the right medicine at the wrong dose, forgetting or neglecting to provide certain care to a patient, or simply providing care of substandard quality or competence – the consequences can be devastating. Moreover, there are systemic problems in the healthcare system that can lead to patient injuries, and even death, despite the best efforts of the best doctors and nurses. If you or a loved one has been seriously injured by medical malpractice, you are entitled to compensation for your pain and suffering, resultant medical expenses, future medical care, any persistent injury, and your lost income. The attorneys at Piedmont Injury Law, LLC are here to help you during this challenging time. I Was Injured by Medical Malpractice: What Can I Do? 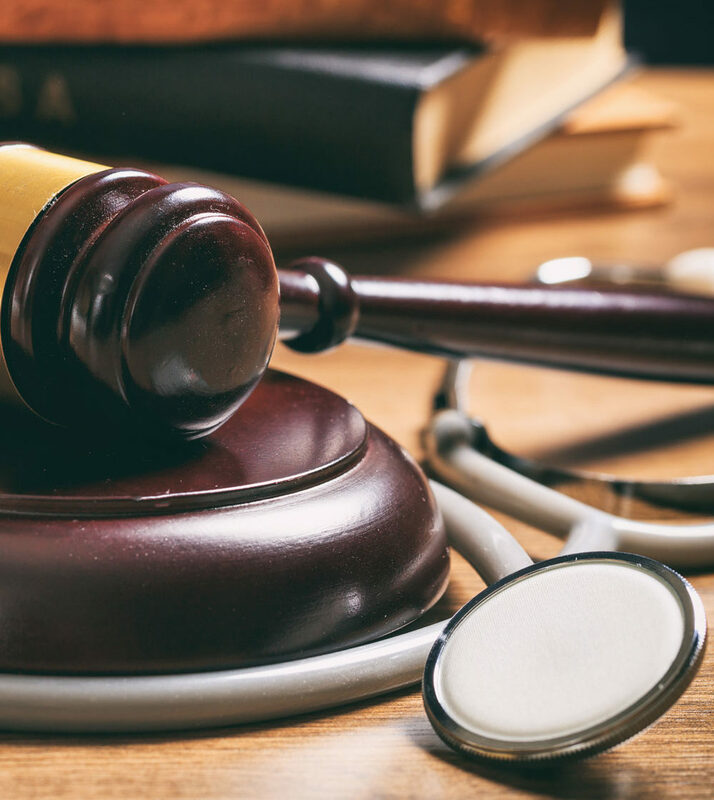 Medical negligence, or medical malpractice, occurs when a doctor, nurse, or other healthcare professional, or an institution like a hospital, fails to live up to the standard of care of his profession, causing injury to a patient. The term “standard of care” means that level of judgment, type of care, and degree of competence that a reasonably skilled and competent professional in the same field or specialty would provide under the same circumstances. Not every bad outcome in a healthcare context is medical malpractice. Indeed, most people who seek a doctor’s care do so because they already have some kind of a health problem or are facing a medical emergency, and the law does not hold a doctor responsible merely because the patient has a bad result. However, when the bad result occurs because the doctor did something that should not have been done, or failed to do something that should have been done, or simply did a bad job on a procedure, that can be malpractice and can give rise to a claim for damages. If that has happened to you or to a loved one, call Piedmont Injury Law so we can help evaluate your case and help you decide what to do about it. Pursuing a medical malpractice claim can be difficult and expensive. Statistically, few medical malpractice verdicts favor the plaintiff. As a result, we are very selective about the cases we accept. If we do accept your case, we will do everything we can to get you the maximum recovery. We will find and engage the doctors and nurses we need to prove your case and to explain the amount of damages you have suffered to a jury. We will prepare your case for a jury trial as early as possible, both so we will be prepared for trial well in advance and to maximize the chance of getting you a favorable settlement. If need be, we will involve economists, life-care planners, and other experts to establish the impact the malpractice will have on you and your family through the rest of your life. Whether or not we are able to take on your case, though, we can always help you evaluate your options and plan your next steps, and will use our extensive network of lawyers and other professionals to help you get the help you need. We understand the trauma and difficulty you and your family are facing when you are dealing with the aftermath of a medical error, and we want to help. Call us and let us help you. Looking for a Medical Malpractice Attorney? When you have been seriously injured by medical negligence, Piedmont Injury Law can assist you in getting you to the best outcome. Our firm of medical malpractice lawyers offers compassionate and caring counsel to injury victims and their families. It can be challenging to live with pain caused by a medical error. It can be even more difficult to try to heal alone. You may have lost wages due to time away from work or be facing more high medical expenses to deal with the injuries caused by prior treatment. The law affords you and your loved ones important protections if you’ve been injured by a healthcare provider’s negligence. If you’re looking for an attorney, Piedmont Injury Law is here for you. Medical malpractice cases are time-limited and very difficult to handle on your own. Contact us today for a free case evaluation. 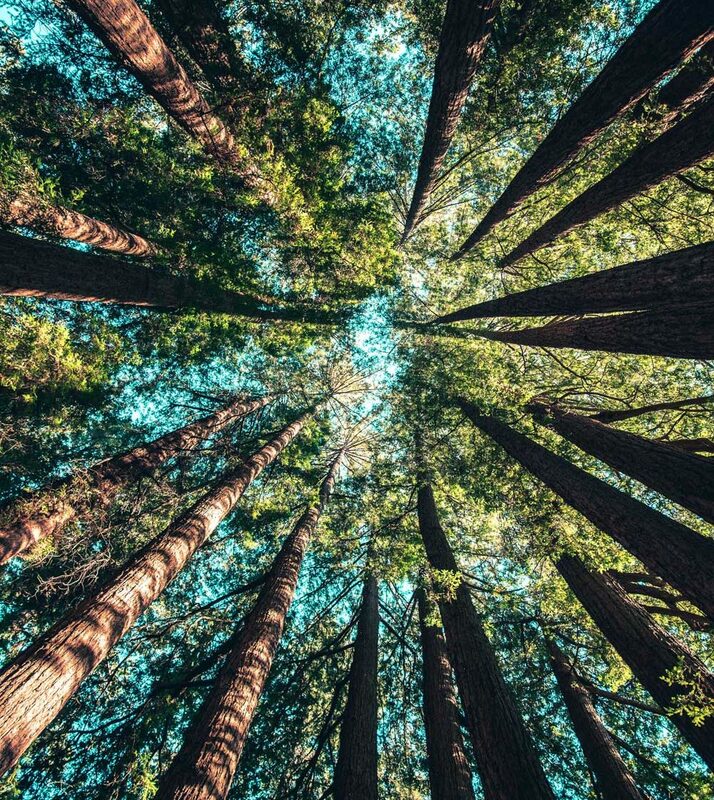 If you are reading this page because you have a potential wrongful death claim — that is, because you have lost a loved one to some other person’s negligent or intentional act — I first want to say that I am very, very sorry for you, and I wish you strength for now and peace in the future. The untimely death of a loved one is a tragedy that both robs the world of a life and leaves grief, pain, and sometimes devastation among the survivors. We wish such things never happened but, unfortunately, they do. Wrongful death is not a separate tort – a wrongful death case can arise from a car crash, a premises liability claim, an act of medical malpractice, or any other circumstance that could give rise to a personal injury claim – but rather a different type of damage that is not involved in cases where a person is injured but does not die. When a negligent or intentional act costs a person’s life, there are actually two legal claims that result (on top of the estate’s claim for funeral and related expenses). The first is what is often called a “survival action,” and it is basically the personal injury claim the person would have had if he or she were still alive to pursue it. It allows the person’s estate to recover on the person’s behalf for any economic injury – including medical bills, lost income, and any other financial loss – and bodily injury, including any conscious pain and suffering the person may have endured after the injury. In cases where a person is killed instantaneously this claim may not be very big, as the person may not have suffered at all and will likely have received little or no medical care. But if the injured person survives long enough to be conscious of the injury or, worse, conscious of the fact that he or she is about to die, this claim can be very significant. The second claim is the one most commonly referred to as a “wrongful death” claim, and it entitles the survivors of the deceased – the spouse and children, or the estate if there is no spouse and are no children – to recover the full value of the life that was lost. Reading this, you probably recognize that establishing the “full value” of a person’s life is a very challenging and complicated task, and that is absolutely true. Each aspect of that value needs to be established and supported by evidence, and the total calculation includes both monetary and non-monetary components. Factors in establishing the full value of a person’s life include all lost future income, but also factors like companionship in marriage, the joy of raising a family, relationships with friends, the satisfactions of both career and recreation, and the overall enjoyment of life. Establishing these factors is a challenging task, but it honors the life that was lost and ensures that the survivors receive compensation as complete as the law can accomplish. I Have a Wrongful Death Claim: What Can I Do? Call us. We’ll carefully review your circumstances and work with any other survivors who may be entitled to bring the claim to ensure that everything is done to establish and honor the value of the life lost, and to get you all the compensation you deserve. Looking for a Wrongful Death Attorney? However your loss came about, Piedmont Injury Law can assist you in getting you to the best outcome. Our firm of lawyers offers compassionate and caring counsel to the survivors in cases of wrongful death. We can help you get the compensation you deserve, and we would be honored to do so. Contact us today for a free case evaluation.